It's a sportbike. It's a cruiser. And we wish it would happen. 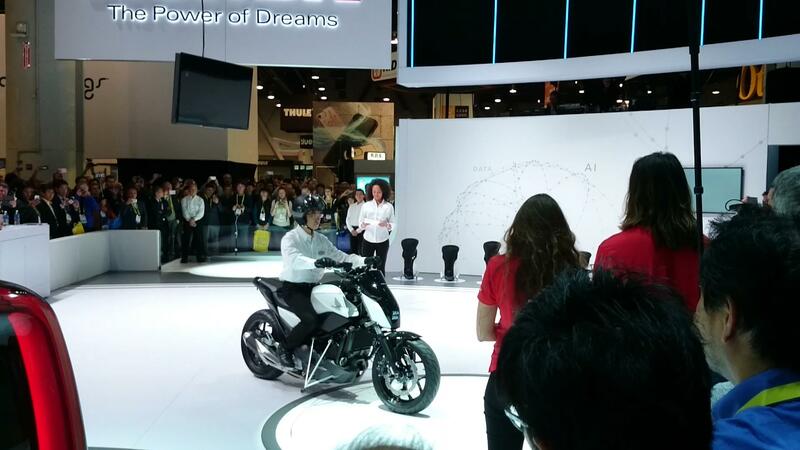 At the 2013 Tokyo Motor Show, Kawasaki unveiled the three-wheeled, battery-powered, transforming Concept J motorcycle. Looking like perilous technology teleported from Canis Major, the Concept J rider has a choice of slinking over a low-down sportbike, or sitting upright on an urban cruiser. In sportbike mode, the suspension pulls the two front wheels close together. In town-touring mode, the seat rises, the footpegs drop, and the front wheels spread for easy stance. When we didn't hear anything about the bike after Tokyo, everyone assumed the Concept J took its neon green shark fin and red Tron hub to the overstuffed graveyard of concept vehicles. But it seems Kawasaki's playing the long game: The Japanese bikemaker's U.S. arm posted a promo vid that features the Concept J. The alien wonder's appearance could be another MacGuffin, but Honda and Yamaha have shown motorcycles with features that intersect with the Concept J. Honda displayed its self balancing Riding Assist-e, with its automatically adjusting front geometry, at last year's Tokyo Motor Show. Yamaha put its three-wheeled Tri-City into production in 2014, then followed that up with the more powerful, and weirder, three-wheeled Niken last year. At the 2013 Tokyo show, Kawasaki President Shigehiko Kiyama said the Concept J "explores the attractive possibility of an adaptable transport platform that is fun, easy and convenient." The promo video above is heavy on aspirational dialogue, including the line, "The future, to us, isn't constrained by today's limitations. It is set free by our imaginations." Well, Kawasaki, if that's true, then give us the Concept J. As is. Now-ish.